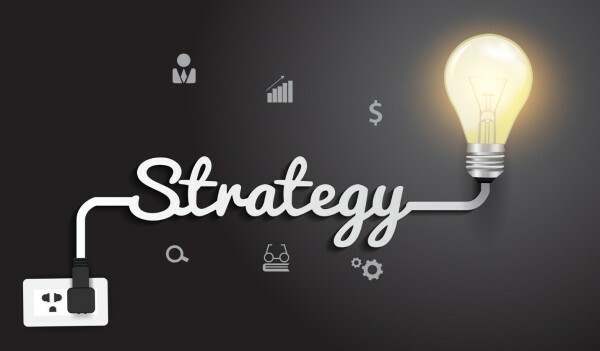 Online marketing strategies are really important for a startup but also an SME or a professional and you can’t really do much without setting a basic, simple, straightforward strategy. “Why do I need a strategy?” you would ask me, I guess. It’s something people are asking me all the time. Or they tell me: “Na, you don’t need to work on a strategy, just post on social media”. And my reply it’s always like: What are you going to post if you don’t know what you want to achieve and who to reach out? It seems strategies changing every time, but the truth is that you need goals & strategies, even if you’re a startup. Open a twitter account and increase your follower base, is something coming after you understand the reason you want to do it. For example, this is a goal=> increase your follower base. Is it a good one? Well, maybe not. That’s why you need also to think about your goals before building a strategy. 1) So, the first thing is to have a clear goal in mind. To reach a good one, just think what does success mean to your project/company. Do you want to create am an engaging community? Or improve conversions? Or drive sales? Just pick one and be focused. I know that success means a lot of different things, but priorities are really important, especially if you’ve just launched your app/website/project/whatever. Goals need to be SMART: specific, measurable, agreed upon, realistic and time-based. 2) Then: learn about your audience. What do they like? How could you motivate them? It’s really difficult to communicate with them without knowing them. People click if they’re interested if they like the way/what you’re talking about and they’re feeling comfortable. You need to create content and you don’t want to waste time & efforts for things you’re not sure could be appreciated, aren’t you? Last tip: work with different segments, your audience don’t need to be the same across all channels. 3) Customer journey: it’s important also if you’re not selling. Why? ‘Cause you can enlarge the range of information you have about your audience: how do they find you? Do they research first on a mobile device? 4) Link your goals to KPIs: which are the KPIs you’d need to measure your customer interactions? KPIs are really key and they’re different for every channel. Mapping them all could help you understand your business goals.